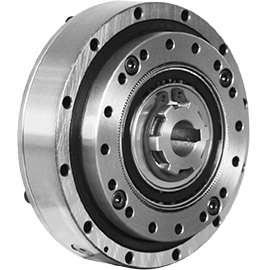 The core harmonic gear elements, with additional cross roller bearing support is included within this assembly. No housing is provided for containment, requiring the designer to integrate into their equipment substructure. These characteristics enable the FLEXWAVE to be the superior choice when sizing and selecting the proper reduction technology for robotics, medical equipment, high precision positioning, custom assembly automation, semiconductor and circuit manufacturing, machine tool, among many others.